Here's some more kind words from the rad people I have worked with. Check out their stories get an idea of what you can expect. "The group discussions are so powerful as it helps you realise that everyone has little things they are struggling with and it’s often quite similar stuff. Briony is AMAZING! She teaches you to look after yourself and gives you the tools to really enjoy life. She helped me let go of beliefs that were preventing me from enjoying every moment. I’ve finally disappeared the feeling of wanting to be somewhere else and really started enjoying where I am in life. I feel free and happy!" "I’ve gained a lot of self-confidence. Untapped Series helped me assess where I was in my life at the moment, and in doing that it allowed me to look at the positives in my life and identify the gaps. I discovered more about what my passions and purposes are in life, and how I can best achieve them. I feel liberated and can’t speak highly enough of doing it! Briony knows exactly how to get the best out of the group. Why wouldn’t you do something that can change your life so much!" 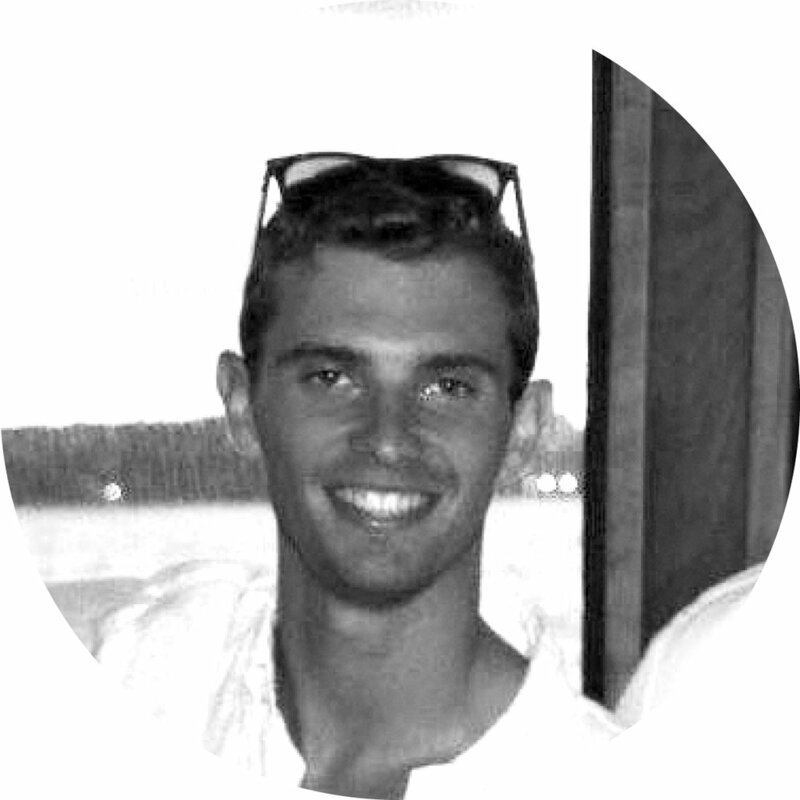 "I learned a huge amount about myself during the Untapped Series. It has propelled me into a happier and more fulfilled life. Briony creates an incredibly open and inclusive environment which allows participants to share in a safe space. Briony is a compassionate coach, who challenges you to dig deeper into your insights and ultimately empowers you to have a greater understanding of yourself. I now understand my own internal critic, have an awareness of how it was limiting me and now have the tools to develop further. I have an appreciation of what I value and where I want to take my professional career. Most importantly, I have the self-confidence and belief to take the positive steps to achieve this! Briony’s journey is an inspiration and is something that I will continue to take great strength and courage from in the future." Hayley was an incredible teacher passionate about many things. In a couple months time she is about to launch her very own social enterprise and she has started her own exploration as a personal leadership coach! "Briony I feel liberated! I have learned to listen, I have learned to take on others advice in a genuine and accepting way. The Untapped Series empowers you to take a step back, analyse your true self, reset and become the best version of yourself right now. THANK YOU!" "My first day of unemployment after resigning from my job (no plan whatsoever) I found myself sitting in one of Briony's Your Why Untapped session and it was life changing. I went from having no sense of direction to building a plan and ready to tackle the next few months of the unknown. After discovering my values and what makes me unique I landed a new job which aligned perfectly with me! It's easy to fall into the trap of feeling like you “should have it all sorted” and comparing yourself to others when you don’t know what you want to do or where you want to go. Coaching completely changed my outlook of my situation, gave me a vision and enabled me to accept more than ever that nothing great happens in the comfort zone. What you take away from each session with Briony is absolutely incredible. You can’t put a price tag on personal development, it is so important. Her natural ability to create a strong sense of rapport and engage with you in a way that you leave each session full of purpose and enthusiasm. It's invaluable." "Untapped Series taught me skills for chasing the fulfilling life we dream of. Untapped explored ways to discover our hidden potential whilst identifying the major barriers that limit us from who / what we aspire to be. The Series strengthened my desire to chase passions and offered techniques for taking action toward my ambitions. The Series and Bri created an inner desire to chase whatever you seek from life and installed the confidence within you to believe it will happen. I feel more confident in my ability to maximise opportunities that present themselves. I feel more motivated and inspired to discover and chase where I want to be and how I will ‘make a difference’. Finally I am more aware of what I need to do to maximise my potential to achieve my dreams! It is a great opportunity to challenge yourself and go through a somewhat unknown journey with a unique bunch of people. The most exciting aspect is that the experience is different for everyone. Your key learnings and breakthroughs may differ to others but it is the combination of Coach Bri and the diversity of the group that is the secret to such findings. If your serious about challenging the status quo, chasing your aspirations and maximising your potential (for the benefit of both yourself and others) then this is a no brainer - get amongst." "I was worried about signing up in case I didn’t see any results and I was sceptical that a group programme could be personalised and relevant enough to apply directly to me. I was also hesitant about sharing limiting beliefs, fears and personal views with other people – it seemed like such a vulnerable position to consciously be putting oneself in. None of these concerns eventuated – in fact, having now completed the course, I can recognise that these could have prevented me from doing something great! I really enjoyed doing the series in the group setting, it provided a safe collaborative environment, where people could present their thoughts and ideas and others could easily relate. I feel empowered and energised! Briony’s coaching has provided me with a useful toolkit of knowledge which I can apply to many aspects of my life. I now have the ability to back myself and manage limiting internal thoughts/beliefs. I also feel that I am able to share my experiences with others, which is really rewarding as well. Think of it as an investment into your future. This is an awesome opportunity - Briony is an amazing coach and the course provides tools which you can use forever!" "I feel like a whole new person. I am decisive in my decision-making. I can have the difficult conversation. I am in action and finally making stuff I have put off for ages happen. I embrace my fears. I have clarity with regard to how I want to live my life and each day I am living in alignment with my values. Once I fully understood my values, purpose and definition of success, everything else in my life fell into place. Briony will provide you will the tools and support you need to discover so much about yourself that you didn’t realise you were capable of. Untapped will help you redefine success. It is the catalyst for unleashing your ability to live a truly aligned life." "I am now inspired to see what I am capable of! Life feels like a ‘blank canvas’ and I am ready to paint! I feel comfortable not knowing what my future will hold. I pushed myself to have courageous conversations that I needed to have in order to get results. I absolutely loved the Untapped Series. We do not often get the opportunity to truly express ourselves or talk about our lives meaningfully and it is so important! The course is a unique opportunity for young individuals to connect and know that we are not alone during these unsettling yet exciting times of our lives. It is so easy to compare yourself with others and begin to doubt what you want. This is an opportunity to change your mindset to become the best version of yourself!" "My cousin recommended Briony as she thought this was something that I could benefit from. She knew I was a bit lost and would have never considered using a coach before. I had a lot of people telling me what they thought I should be doing so I needed someone to guide me to what I truly wanted. As a result of this, I have started my own business. I have a passion for beauty, so I have decided to pursue this. Briony encouraged me to start my own business and has given me the tools to be successful. She taught me to not be so hard on myself and second guess my actions and decisions. Briony’s coaching has made me feel more settled, comfortable in what I am doing and the ready to embrace the challenges I face. Working with Briony was awesome! She has a way of making you feel you are unstoppable and can do anything! If you haven’t thought of working with a coach before, Briony is definitely one of a kind - you won’t regret it!" "The Untapped Series was an amazing experience, something I will remember forever. My relationship, career and everything else in my life has become so much deeper. I feel much more connected to people. Bri is an amazing coach who offers great insights and guidance. Being a group programme, you also get to connect with amazing people and I made some really great friends!" "Briony is a phenomenal coach and person - a deep and empathetic listener, never shying from empowering her clients to unlock their full potential. Briony is incredible at helping clients identify personal limiting beliefs, fears and doubts preventing them from living up to their full capability. Through insightful questions and deep empathy, she provides clarity on how these beliefs came to be, and gives actionable steps to overcome them. In doing so, Briony is a catalyst for her clients leading lives of meaning, purpose and fulfilment. Briony is a stand for her clients playing big in the world. She can see her clients' unique strengths and gifts, and holds them accountable to stepping up and leaning into the uncomfortable so that they can lead incredible lives. I have been privileged to have Briony change my own life, while also being a witness to her shaping and changing many others. She has enabled me to identify and overcome personal limitations I had placed on myself, and in doing so, I have had experiences and said yes to challenges that I would have previously closed the door on. Briony has big things ahead of her, and is a game changer of this generation. She will continue to have a direct impact on the lives and futures of many, and a ripple effect far beyond." "I was introduced to the Untapped Series of the back of a Social Experiment wrap up event, Briony spoke to 'imagining waking up everyday excited and bursting with the energy for the extraordinary life you had created'. I wondered who these people were and how I could create the space for my own inspirations and ambitions to flourish. Through an amazing journey of self-discovery, reflection and listening I was able to find I had the courage and compassion to build on the foundations I knew were there but I hadn't give the acknowledgement too. I could be the driver! Briony has an ability to gather your story from very few questions, leading you down the path with such comfort and genuine friendship, you can be authentic and share the deepest parts of yourself. The true depth to what makes you show up and be seen, heard and loved. Untapped was an amazing journey with incredible supporters that have become friends. Untapped has made me feel like I have been able to show up to life with the wholeheartedness I sought out at the beginning of the journey, I can have the critical and courageous conversations with myself and others and truly express the change I want to see in my communities, and world. Briony thank you for the opportunity to create this change, having the belief in me when I couldn't see it and giving so much passion and support! Game changer!" “Who knew that in 8 weeks you could completely unfold every dimension of your potential, personally, professionally and everything in between? The Untapped Series was this empowering invitation to face my fears and limiting beliefs in the most powerful way that unlocked freedom and created some pivotal shifts towards living with passion and purpose every day. 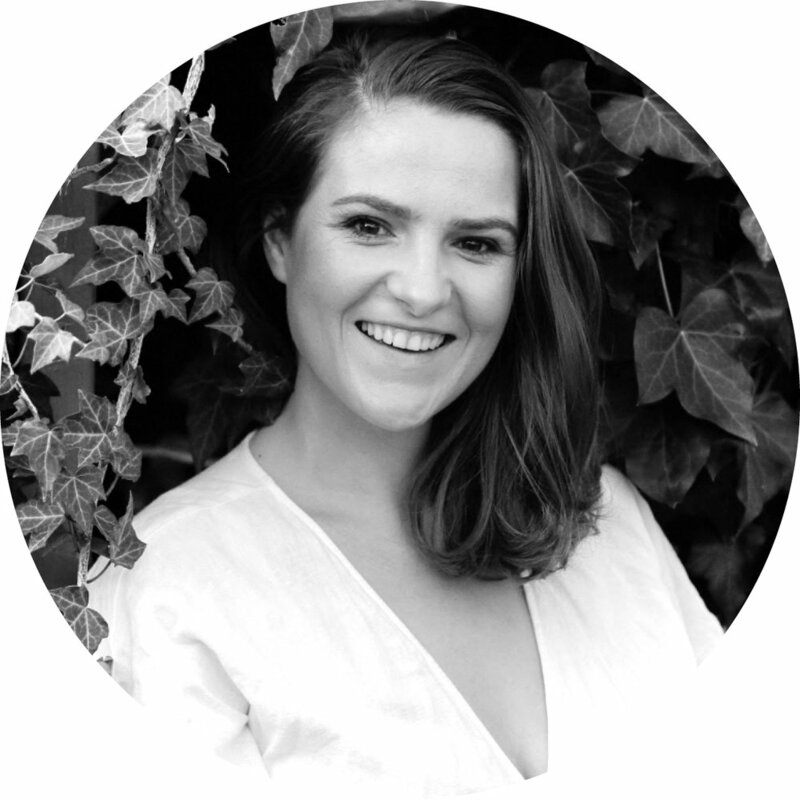 Briony creates a space to get real and be honest about the ups and downs of carving out your path in life, alongside this amazing group of people who are all exactly doing the same. As a group you share in each others breakthroughs, while creating the most contagious vibe of inspiration and accountability to each other.